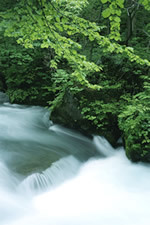 The Water Environment Partnership in Asia (WEPA) will hold the 2nd International Forum on 3-4 December 2007 in Beppu City, Oita Prefecture, Japan. This forum is to be organised as part of the WEPA, which is an initiative that was launched by the Japanese Ministry of the Environment on the occasion of the 3rd Water Forum, 2003. The 2nd International WEPA Forum will be held as an open event of the 1st Asia-Pacific Water Summit. The 1st Asia-Pacific Water Summit is a ministerial meeting which is organised every 2 or3 years by the Asia-Pacific Water Forum as a part of its activities. The 1st Asia-Pacific Water Summit will be held in Beppu, Oita. There are expected to be many participants, such as heads of state, and representatives from companies, local government, academia and media. The water environment in Asia is facing severe, worsening problems such as poor water quality, mainly in urban areas, and a shortage of usable water. However, the stakeholders involved in these issues are not sharing their experience and expertise and thus there has been a distinct lack of action to make use of the knowledge gained so far. It is important to take action towards water environment conservation for the purpose of pursing sustainable management in the region based on the experience and expertise of various stakeholders. This forum aims to promote water environment governance by promoting dialogue among various stakeholders in Southeast Asia and East Asia, developing human resources and strengthening ties for the future amongst people responsible for improving water environment governance in this region.